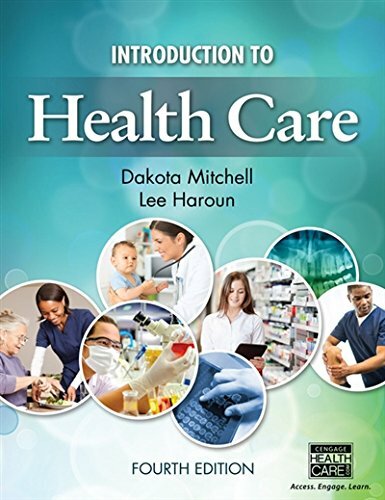 130557477X -INTRODUCTION TO HEALTH CARE, Fourth Edition, provides an easy-to-read introduction to the foundational skills necessary for a range of health care professions. This trusted text offers a comprehensive, yet highly accessible survey of both soft skills and basic clinical skills for those entering health care training programs or considering a career in health care. To prepare you for the realities of modern practice, the authors emphasize core competencies required by all health care professions, including communication, infection control, and professionalism. The text features a strong focus on developing critical thinking skills (“thinking like a health care professional”) through a five-step problem-solving model that includes assessing a situation, considering alternatives, choosing an appropriate alternative, evaluating the results, and revising as needed. This unique approach makes INTRODUCTION TO HEALTH CARE, Fourth Edition, an ideal resource to help you transition from simple memorization to effective application of professional skills in a real-world setting.